17" blue Calf skin top with colorful 8 row stitching and a black collar & pull holes. 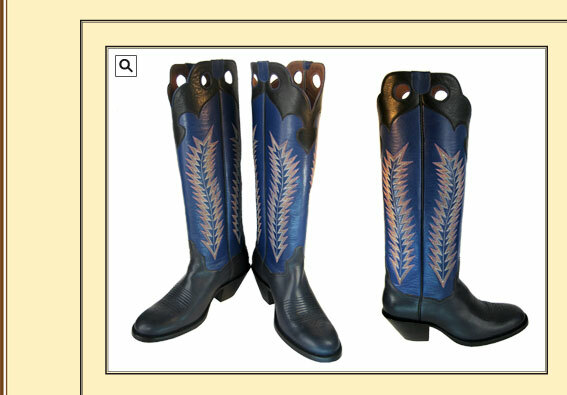 Shown with a dark blue heavy Calf foot, toe stitch, wide round toe & 2 1/2" heel. This will make a great dress or work boot.